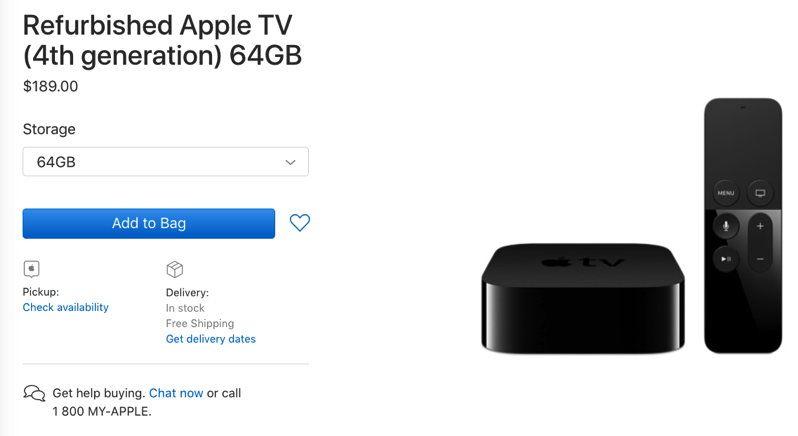 Back in February of last year, Apple TV 4 hit Apple Canada’s refurbished store for the first time, priced at $169/$229 for 32GB and 64GB models respectively. The new Apple TV 4K supports HDR and Dolby Vision for increased colour and clarity. It costs $229 and $249 for 32GB and 64GB configurations, respectively, but you will require a 4K TV set to view 4K content. 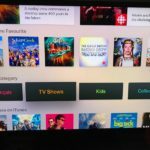 Why buy an Apple TV 4? It’s still a great unit because it can act as a Home hub for HomeKit and control your smart devices when you’re outside of the home, plus it includes the Siri Remote (which you’ll never figure out which way is facing up, lol). When will refurbished Apple TV 4K models hit the refurbished store? It took four months for the Apple TV 4 to hit the store, so that may be an indicator of how long you may have to wait, to save a few bucks. Let us know if you’re going to pick one up. Update Sept. 19 6:10PM PDT: Refurbished 32GB ATV 4 units now showing in stock for $169.